In 1953 U.S. 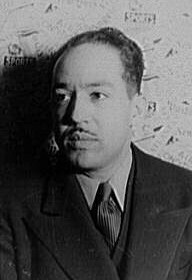 Senator Joseph McCarthy, Republican of Wisconsin, targeted Langston Hughes, a black writer, over his alleged communism. Later that same year, McCarthy’s attention shifted to the U.S. Army when the Senator’s Senate Permanent Subcommittee on Investigations began an investigation focused on an alleged spy ring at the Army Signal Corps laboratory at Fort Monmouth, New Jersey. 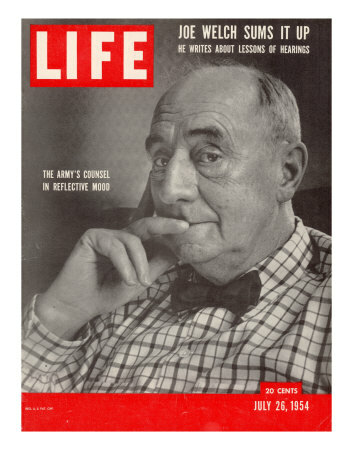 Those accusations, however, were not sustained, so McCarthy went after the left-wing affiliations of an Army dentist, Irving Peress, who had declined to answer McCarthy’s questions and who had been promoted to Major. After his commanding officer, Brigadier General Ralph Zwicker, a World War II hero, had given Peress an honorable discharge, McCarthy attacked Zwicker, but he refused to answer some of McCarthy’s questions, and the Senator verbally abused the General at the hearing. Army Secretary Robert Stevens then ordered Zwicker not to return to McCarthy’s hearing for further questioning. In an attempt to mediate this dispute, a group of Republican Senators, including McCarthy, met with the Secretary, who capitulated to virtually all of McCarthy’s demands. 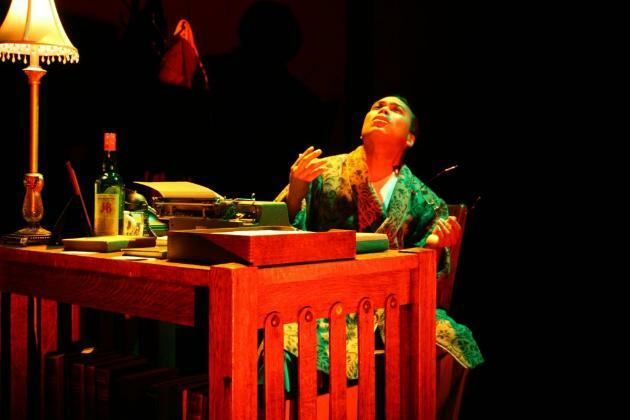 Afterwards the Secretary was a subject of public ridicule. 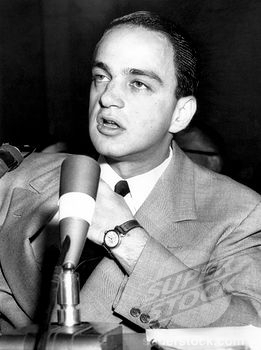 In early 1954 the battle between the Army and McCarthy continued when the Army accused McCarthy and his chief counsel, Roy Cohn, of improperly attempting to pressure the Army to give favorable treatment to G. David Schine, a former aide to McCarthy and a friend of Cohn’s and who was then serving in the Army as a private. McCarthy claimed that the accusation was made in bad faith, in retaliation for his questioning of Zwicker. The Senate Permanent Subcommittee on Investigations was given the task of adjudicating these conflicting charges. 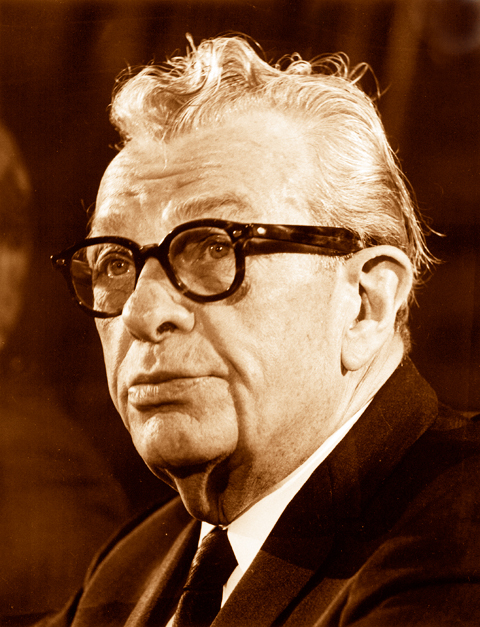 Republican Senator Karl Mundt, Republican of South Dakota, was appointed to chair the committee for this purpose, and what were known as the Army-McCarthy hearings convened on April 22, 1954. This is when Boston attorney Joseph Welch entered the drama as the lead attorney for the Army and ultimately proved to be the Senator’s nemesis. Of far greater importance to McCarthy than the committee’s inconclusive final report was the negative effect that the extensive exposure had on his popularity. Many in the audience saw him as bullying, reckless, and dishonest, and the daily newspaper summaries of the hearings were also frequently unfavorable. 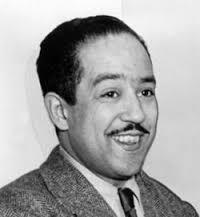 In an impassioned defense of Fisher, Welch immediately responded, “Until this moment, Senator, I think I never really gauged your cruelty or your recklessness …” When McCarthy resumed his attack, Welch interrupted him: “Let us not assassinate this lad further, Senator. You’ve done enough. Have you no sense of decency, sir, at long last? Have you left no sense of decency?” When McCarthy once again persisted, Welch cut him off and demanded the chairman “call the next witness.” At that point, the gallery erupted in applause and a recess was called. The issue of Fisher’s membership in the National Lawyers Guild was not a surprise to Welch. The next day Welch made a public announcement that Fisher was no longer involved and the reason for his withdrawal in an attempted preemption of any attack by McCarthy on Fisher and Welch. The New York Times reported this statement. Soon thereafter, Senator McCarthy included the Fisher issue in the Senator’s “indictment” about the Army. It stated, “a law partner of Mr. Welch has, in recent years, belonged to an organization found by the House Un-American Activities Committee to be the ‘legal bulwark’ of the Communist party, and referred to by the Attorney General as the ‘legal mouthpiece’ of the Communists. This same law partner was selected by Mr. Welch to act as his aide in this matter, and was discharged only when his Communist-front connection became publicly known.” The Senator also let it be known that he planned to attack Fisher at the hearings. Thus, the issue did not die. During the course of the hearings, Welch and St. Clair apparently had discussions with McCarthy’s representatives about McCarthy’s not mentioning the Fisher issue in exchange for Welch’s not discussing the non-existent military record of McCarthy’s aide, Roy Cohn. Welch and St. Clair say there was no agreement to such effect while Cohn and the Army’s regular attorney (John Adams) said there was. At least, it seems to me, there was an informal understanding between the two sides that there might be adverse consequences to the party that first raised one of these issues. In any event, the night before the cross-examination of Cohn, Welch and St. Clair considered going into the issue of Cohn’s military record, but decided against it because it would be similar to McCarthy’s personal attacks. The next morning, before the hearing started, Welch or St. Clair told Cohn that he would not be examined about his military record. Later that morning during Welch’s cross-examination of Cohn, McCarthy interrupted to raise the Fisher issue. Cohn apparently tried to signal McCarthy to stop talking about Fisher. 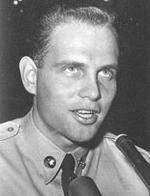 Even though McCarthy persisted, Welch did not retaliate by going into Cohn’s military record. He did not do so, St. Clair says, because they did not want to stoop to McCarthy’s level and tactics. Instead, as previously mentioned, Welch made a vigorous defense of Fisher. Welch maintained that he was surprised by the McCarthy attack on Fisher and that Welch had not prepared his response. However, given the prominence of the Fisher issue and the bullying tactics of McCarthy, Welch must have thought that such an attack was possible. Moreover, during the course of the hearings before the actual attack on Fisher, Welch and St. Clair called Fisher from time to time to say that McCarthy had said he would tell “the Fisher story” and that Fisher should be prepared for same. Any competent lawyer in that situation would have contingency plans at least in the lawyer’s own mind about what to do if the attack came. The videotape of this famous exchange shows an unperturbed Welch delivering his oft-quoted remarks without apparent emotion, supporting the notion, in my judgment, that Welch was not surprised and had prepared his remarks. Later that same day, Welch was observed crying outside the hearing room. Some thought it was provoked by the attack on Fisher. Cohn thought it was an act to engender sympathy for Fisher and the Army. I wonder whether they were genuine tears of anguish for Welch’s possibly baiting McCarthy to tell “the Fisher story,” i.e., for using Fisher to make a point for the client. There is no evidence to support any of these interpretations. Near the end of that same year, the Senate passed a resolution condemning the Senator’s conduct, and Welch often was credited with hastening the downfall of McCarthyism. Subsequent posts will review other aspects of Welch’s representation of the Army in the hearings, President Eisenhower’s participation in the hearings, the Army’s hiring of Welch as its attorney, Welch’s activities after the hearings and his background. I interviewed Fred Fisher and James St. Clair in 1986 and have reviewed many source materials that document the assertions in this post. If anyone wants to see the bibliography of these sources, I will do so in another post at the conclusion of this series. Just make such a request in a comment to this or the other posts in this series.